Larry Duncan is Vice President for Government Affairs at Lockheed Martin. In this capacity, Mr. Duncan serves as a senior liaison to Federal and State government officials on national defense programs and business issues of importance to the corporation. Mr. Duncan provides counsel and advocacy on legislation and regulatory issues, including tax, business incentives, economic assistance, corporate governance and the environment. Mr. Duncan also manages the Lockheed Martin Employees’ Political Action Committee (LMEPAC), serving as Treasurer with responsibility for LMEPAC filings with the Federal Election Commission and compliance with all federal and state election laws and regulations. 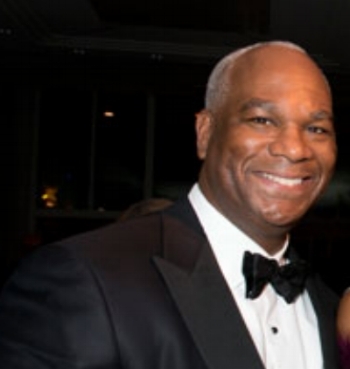 Mr. Duncan also manages the Greater Washington community affairs budget in support of charitable organizations and special events key to Lockheed Martin’s external relationships, including the Democratic and Republican National Conventions and the Presidential Inauguration. Before joining Lockheed Martin in 2002, Mr. Duncan was a corporate lawyer and lobbyist for seven years at two major Washington, DC law firms, Patton Boggs LLP, led by Thomas Hale Boggs, and Verner Liipfert, led by former Senate Majority Leaders George Mitchell and Bob Dole. Mr. Duncan provided legislative and regulatory counsel to media and entertainment companies, telecom and satellite carriers, professional sports leagues, trade associations and a variety of technology clients. Prior to the practice of law, Mr. Duncan worked as a member of the Senate floor staff under the Secretary of the U.S. Senate. the Boys & Girls Clubs of Greater Washington Board of Directors; and the USA Board of Directors for the Children of God Relief Fund, which supports Nyumbani, an orphanage for HIV-positive children in Nairobi, Kenya. Mr. Duncan also serves on the Board of Directors for the Montgomery County Chamber of Commerce, the Maryland Chamber of Commerce, the Maryland Tech Council, the Public Affairs Council, the Business Industry Political Action Committee, Running Start, a non-profit organization that inspires women to run for political office, and ThanksUSA, a non-profit organization that provides scholarships for the spouses and children of military personnel. Born in Yokosuka, Japan and raised in Brunswick, Maine, Mr. Duncan resides in Bethesda, Maryland with his wife, Janell, and their two children.